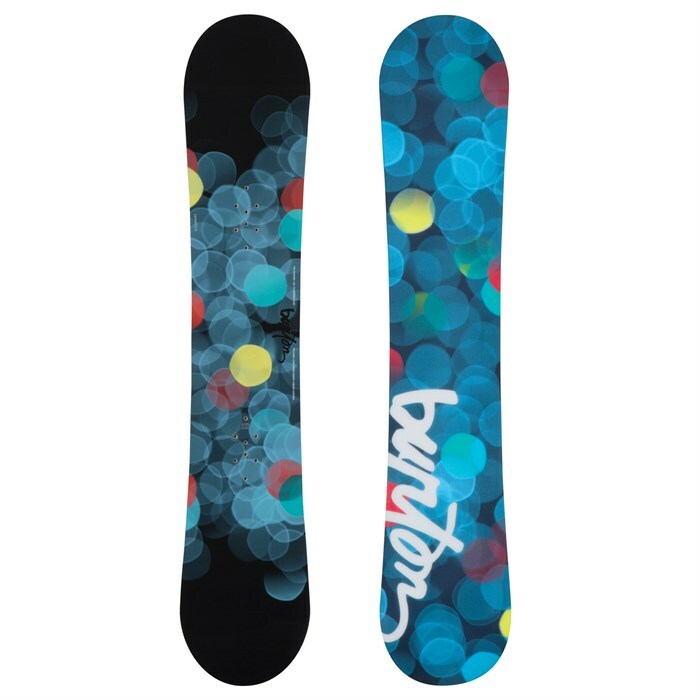 Burton Feather Snowboard - Women's 2010: The Burton Feather Snowboard is your warm welcome to snowboarding—built to make progression fast and fun for beginner and intermediate riders alike. Confidence-boosting Cruise Control tech combines a super soft, forgiving flex with reduced camber and upturned edge for effortless turning, stopping, and trick-progression. Catch-up, keep up, and show your friends how it’s done in no time with the Burton Feather Snowboard. Camber Camber is the traditional profile for snowboards, and still popular among high-level park and pipe riders because it offers maximum energy and pop. A cambered board has a smooth arch underfoot and touches near the tip and tail when unweighted; when the rider’s weight is added, it provides a long, evenly pressured running surface and edge.